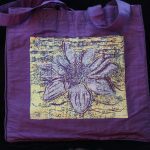 Lino-cut print on silk with cotton canvas lining and zipper insert. 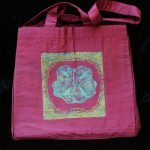 “Divine Lotus” is a two block process printed with turquoise Jacquard textile ink and overprinted with Aztec gold. Second printing is with white & purple lotus. 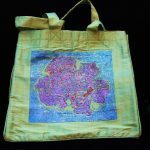 Lino-cut print on silk with cotton canvas lining and zipper insert. 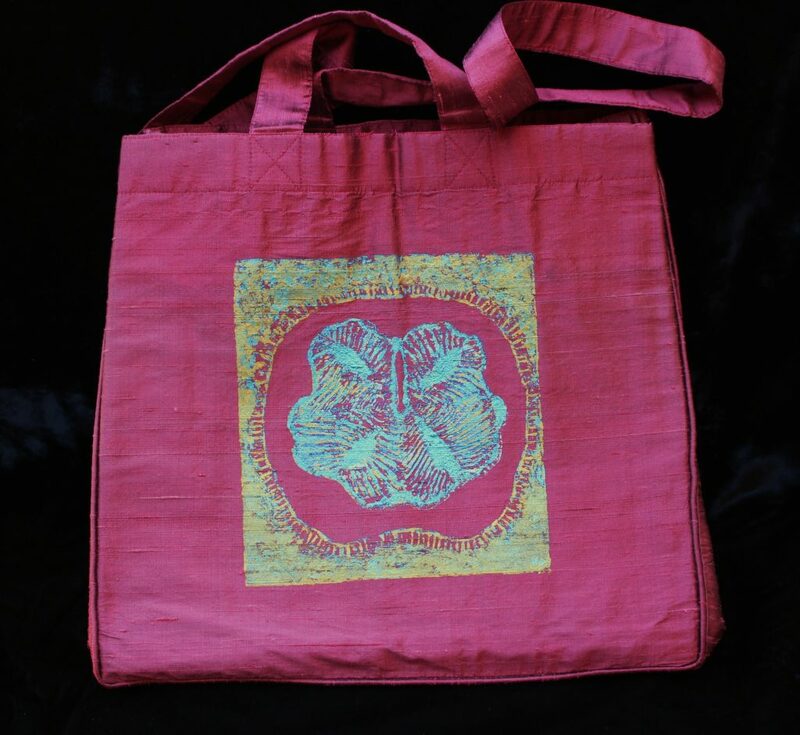 “Divine Lotus” is a two block process printed with turquoise Jacquard textile ink and overprinted with Aztec gold. Second printing is with royal blue overprinted with emerald. 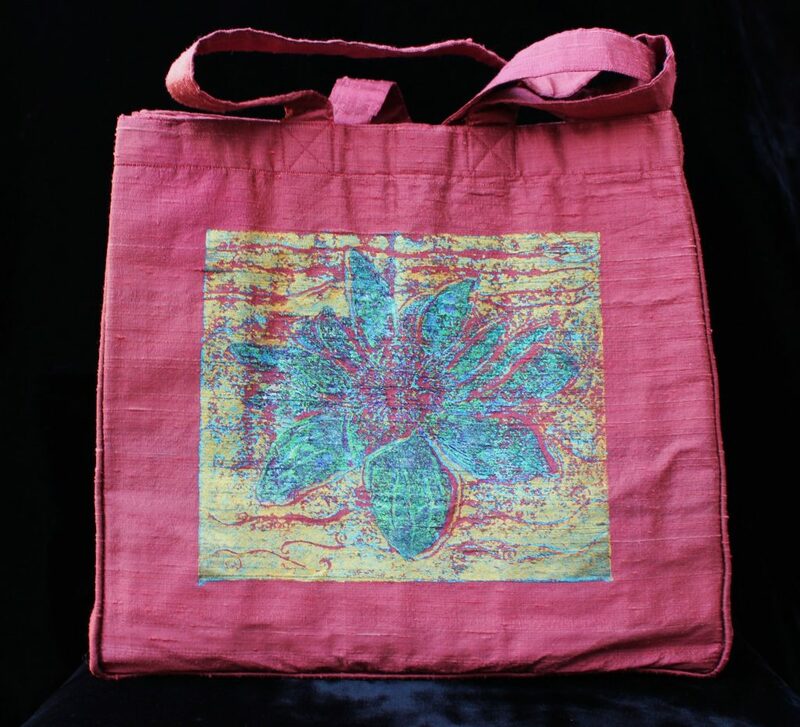 Lino-cut print on 100% silk purse with cotton canvas lining plus zipper. 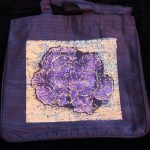 100% black silk with cotton canvas lining and zipper, background printed with turquoise and overprinted with Aztec gold. 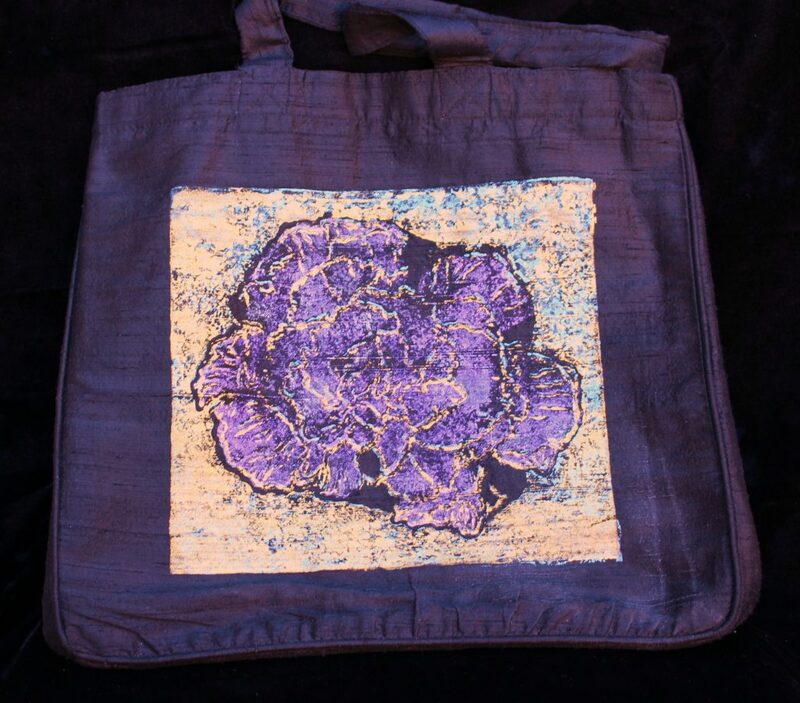 The gardenia is printed with purple metallic ink. 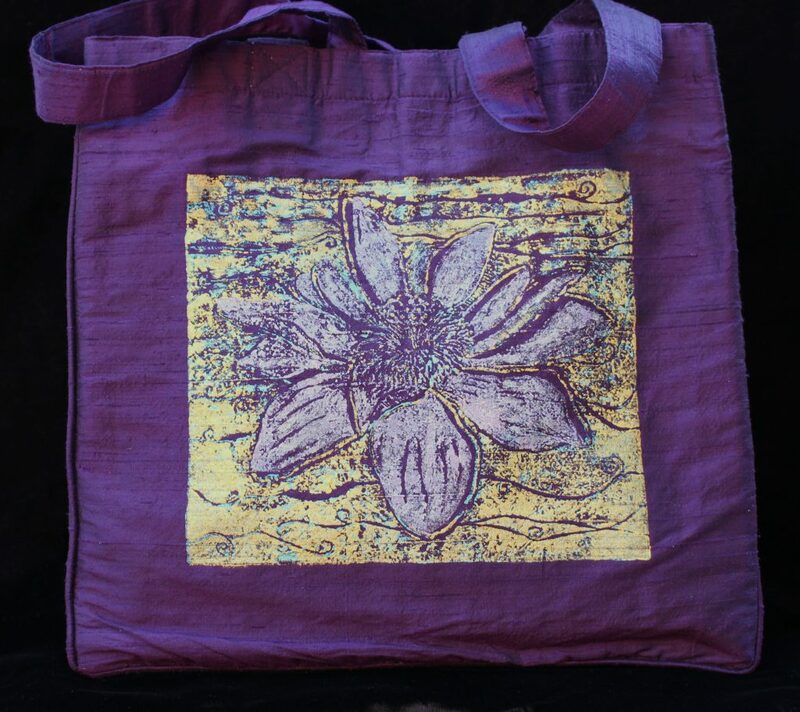 Lino-cut print on silk with cotton canvas lining and zipper insert. “Humble Gardenia” is a two block process printed with turquoise Jacquard textile ink and overprinted with white gold & royal metallic blue. Second printing is with red overprinted with gold, and metallic purple. 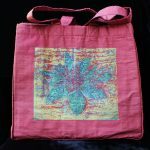 Lino-cut print on silk with cotton canvas lining and zipper insert. 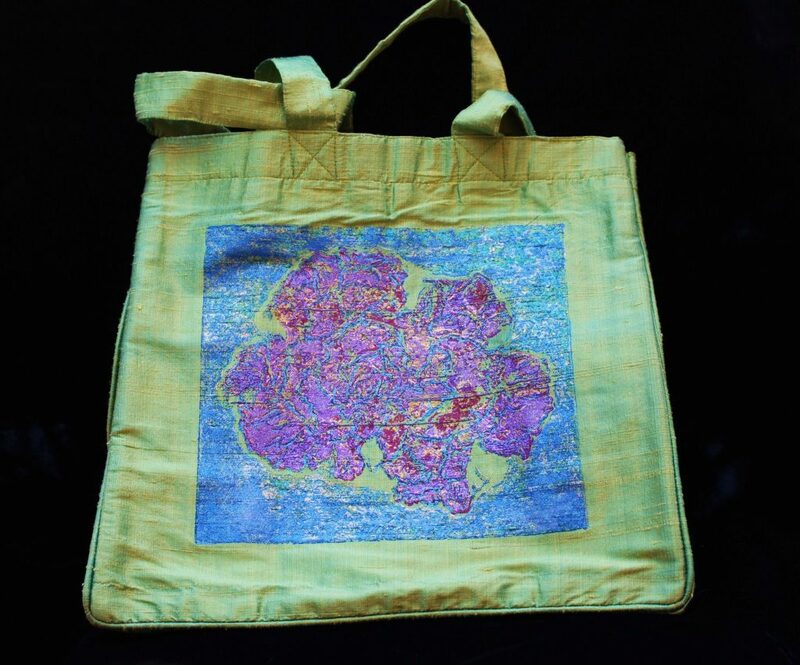 “One Dollar” is a one block process printed with turquoise Jacquard textile ink and overprinted with Aztec gold. Second printing is with gold overprinted with turquoise.